The spiraling costs of prescription medication in the U.S. lures many a U.S. citizen into Mexico for “cheap prescriptions”. U.S. Customs does not have specific statistics, but it is safe to say that millions of prescriptions are filled for U.S. citizens, and then illegally brought into the U.S. 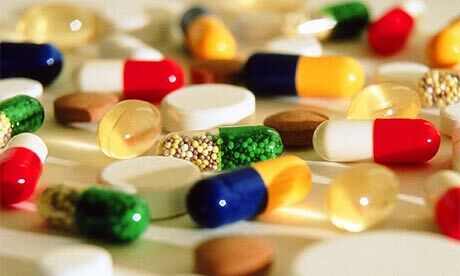 Many people think that Mexico is lax in their control and laws regarding medications, including controlled substances. Many think all they have to do is visit a border pharmacy and request what ever medication it is they want. To use an old saying, “Nothing could be further from the truth”. Mexico’s laws governing prescription drugs or medications is similar to that of the U.S. A prescription from a licensed (federally registered doctor) is required for controlled medications. If you do not do so , it is a serious crime for you and the seller, including pharmacists. AND, by law, Mexican pharmacies do not honor foreign written prescriptions. Popular controlled medications in the U.S. such as Demerol, Ambian, Vicodin, and their generic equivalents, are not sold over the counter, and must be prescribed by a Mexican physician. If you are able to procure one of these controlled substances without the required prescription by a Federally registered M.D., the Mexican authorities can arrest you and the seller for sale and possession of a controlled substance. WARNING, you could land in a Mexican prison from 10 months to 15 years. Don’t think your American Embassy is going to bend over backwards to assist you either, contrary to thoughts of many. They will contact your kin, give you a few blankets and some vitamins, and then say “adios”. You are now at the mercy of the Mexican judicial system. Mordida, or the “bite” (bribery) does NOT ensure your release in Mexico, as many U.S. citizens have come to find out. If you are wondering which medications are considered controlled in Mexico, you can find out by visiting the Mexican web site, cofepris.gob.mx, for a list of both generic and brand named medications. We hope this information and web links help. If you have any questions concerning this or anything else regarding travel into Mexico. Please let us know, we will do our best to assist you. This entry was posted in Mexico, Mexico Travel, US and tagged controlled substances, generic and brand named medications, MD, Medication from Mexico, Mexican Doctors, Mexican insurance company, Mexican Pharmacy, Mexican Tourist Auto Policy, Mexican web site, Mordida, prescriptions, Rules for bringing Rx into Mexico, Rules for Medications, the bite, US Consulate, US Embassy on January 28, 2014 by admin. I need to know if my specific medications are okay to take into mexico when I study abroad. It says medicines for personal use can be imported, but narcotics and psychotic drugs require that the prescription be shown. Martin, if you feel comfortable, with possibly getting stopped, Visa rescinded or Passport questioned, possibly fined, maybe having your name entered into the Homeland Security database, or US Customs, go ahead. I am just the messenger, not the enforcer of Federal laws. Thanks for responding. I have back issues and am able to buy muscle relaxer here in mexico for it ” carisoprodol ” am I able to take it back to the u.s with me ? As long as it is a prescribed medication, in your name, from a legally licensed MD. You can, or should be able to ask your doctor for this information, if he or she is in Mexico. If not, ask the pharmacist what if anything else is required of you by the US Customs. If you really want clarification, then contact US Customs prior to your trip to the Mexican pharmacy. Hope this helps.